Caribbean Community Theatre celebrates its 30th anniversary of producing theatrical shows on St. Croix. Established in 1985, CCT presents a full season of live theatre from November through July. CCT will showcase its production of Dreamgirls beginning Friday, February 6, for three consecutive weekends. Dreamgirls is an award-winning musical based upon the show business aspirations and successes of R&B acts such as The Supremes, The Shirelles, James Brown, Jackie Wilson and others. The musical follows the story of a young female singing trio called “The Dreams,” who become music superstars. The musical opened on December 20, 1981 at the Imperial Theatre, was nominated for 13 Tony Awards, including the Tony Award for Best Musical, and won six. It was later adapted into a motion picture from DreamWorks and Paramount. The cast of Dreamgirls includes Jamie Arko, Amaris Chew, Kishma Chichester, Peter Clements, Daniel Deane, Tony Emanuel, Janney Gerson, Tyson Henderson, Kim Jerome, Jahmani Johnson, Paul Knipler, Kemit-Amon Lewis, Shanavia Martin, Tiara Mason, Tyrone Reed, Jamile Smith, Isabella Sylvester, Kelvin Vidale, Curtis Walters, and Letitia Wise. Music direction is by Patrick Baron, and Nicole Gariepy is Assistant Director and Choreographer. Performances are held at CCT’s theatre at #18 Estate Orange Grove, just minutes from downtown Christiansted, St. Croix. 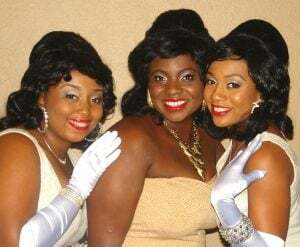 Show time for Dreamgirls is 8:00 PM on Friday and Saturday evenings, with a matinee on Sunday, February 15 at 4:00 PM. In March, CCT will also present its annual after-dinner dessert cabaret — a collection of songs, skits and dances by CCT entertainers and guest performers. This one-night-only revue with delicious complimentary desserts and coffee will be held on Saturday, March 7 at 8:00 PM. 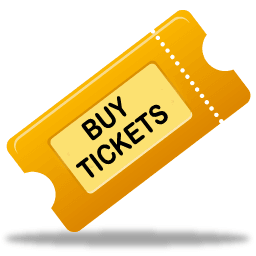 Tickets for musical productions are always popular, so plan to purchase tickets in advance on our website. For more information, call 340-778-1983 or email eileencct@gmail.com. And don’t forget to “Like” Caribbean Community Theatre, Inc. on Facebook.